Well I found out the hard way last night that my car did not come from the factory with a rear spoiler and whoever installed it had no clue. 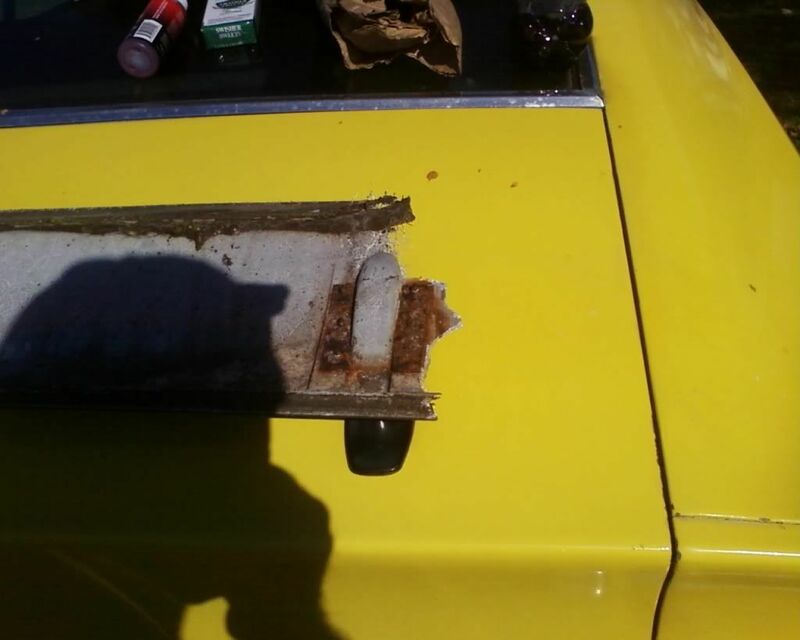 It was installed backwards and flush with the end of the deck lid. When we attempted to just reverse it. it over hung the trunk by half the spoiler. So the deck lid id off to be welded up, re-drilled and repainted. Anyone have proper dimensions on the correct install. The rear spoiler was a factory option available on the Mach 1, Boss 351 and Sports roof. A low-gloss textured black paint was used on it from the factory. The diagram below shows the spoiler installation. 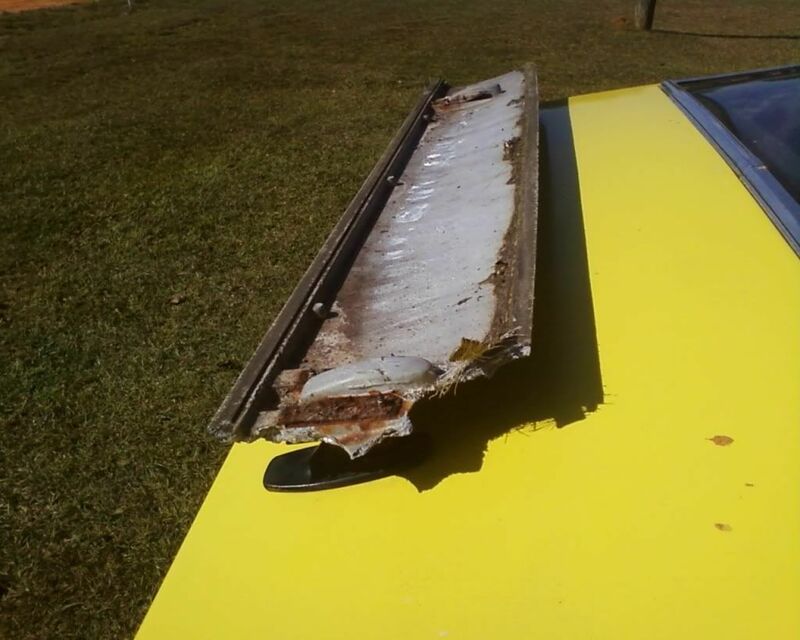 By the way, if you are adding a rear spoiler to your to a non spoiler decklid, you will need to change the torsion rods, otherwise, the extra weight of the spoiler will keep your decklid from staying propped open when the trunk is open. There are two different torsion rods (aka springs) for the Mustang SportsRoof. The ones without spoiler are (D1ZZ-6344890-A and D1ZZ-6344891-A). The for use with a spoiler are (D1ZZ-66344890-B and D1ZZ-6344891-B). 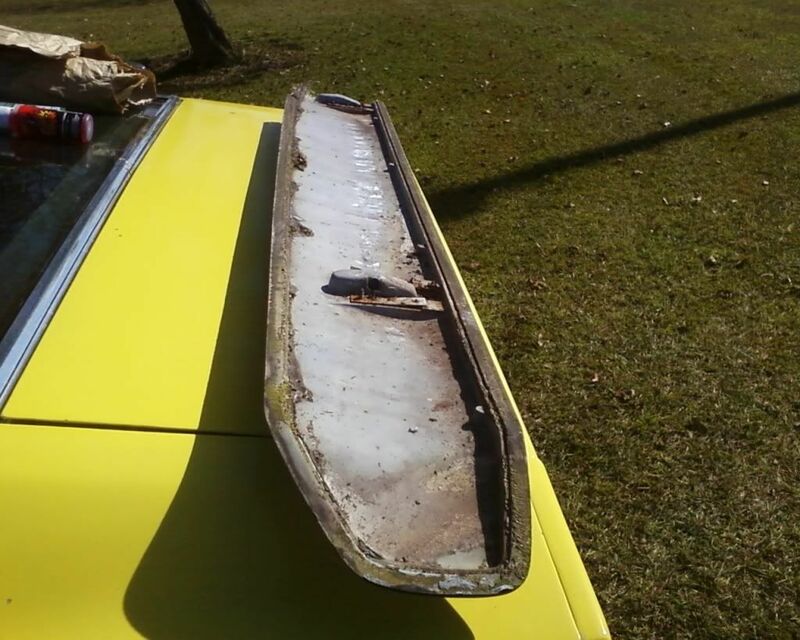 If you want to install a rear spoiler on your 71 Mustang decklid, below are measurements taken on a decklid with a factory spoiler installation. Measurements of the location of the factory holes are shown in the photo at left and center left. The holes are centered 6 1/4" inboard of the decklid side edge on both sides. The fore & aft dimensions are as shown below and apply to mounting pedestals on both sides. Some 71 - 73 Mustang owners have no idea that they have their spoilers installed backwards. As shown in the diagram above, the spoiler leading (front) edge is the thicker side while the trailing (rear edge) should be the thinner portion of the spoiler. When the spoiler is on correctly, the trimmed off edge (noted by red line in photo below left) will be at the rear. Check yours out! Try this Roy. But looks like same info you have. Just cruising along minding our own business when BAM!!! The LAWS show up. Thanks for the info.....my spoiler is mounted totally wrong. I thought that it was just mounted on the posts wrong but ....the posts are backwards also. Makes you happy knowing there are now forums like this and a way to talk to people to make sure you do the job right. I am still working on my spoiler idea. Just trying to decide if I want to use a bandsaw to shape it or a grinder. Either way its going to be different. Just be carefull of that fiberglass dust. It is time to go check mine, im crossing my fingers its correct. whew, just checked mine out, I mounted it correctly! it was several years ago and I must have looked at another picture to see which way it went! Well now I'm really confused, I see in the diagram that the trimmed off edge is to the front.